Today Environment Secretary Michael Gove is set to visit Shropshire and Birmingham to meet key members of the food and farming industry. 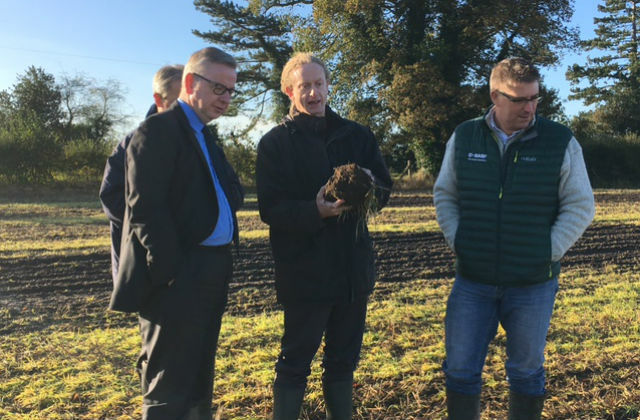 This morning, he visited a ‘no-till’ farm in Shropshire to see the environmental benefits of growing crops without disturbing the soil to reduce erosion and preserve nutrients. He will then take a trip to Harper Adams University - a leading agricultural university set on 550 hectares of farmland specialising in innovation. There he will meet young farmers and see the future of farm technology in action. The Secretary of State will then visit the Bournville chocolate factory to hail the UK’s forward-thinking food sector for driving innovation and productivity. The business recently used a £75 million investment to launch four new production lines and employ thousands more staff. At the Birmingham based factory, the Environment Secretary will see first-hand how even our most recognisable products are continuing to find new ways to push the boundaries – from new technologies to prolong shelf life to ‘free-from’ ranges that tap into consumer demand. The newest line at Bournville can now produce one million bars of Dairy Milk per day. Each year the food chain brings more than £110 billion to the UK economy, with exports hitting a record £20 billion for the first time last year. More than £620 million worth of chocolate was exported around the world, with shipments going as far afield as Australia and the US. As we leave the EU, we have a great opportunity to make sure our food and farming industry is leading the way in modern, creative thinking. An innovative industry is a resilient one, and by investing in new technologies and ideas we can make sure we continue to thrive on the global trading stage and build on our renowned reputation as a great food nation. Today, Defra has published a report showing sales of antibiotics for use in animals in the UK have fallen to their lowest level since records began - exceeding a government target to combat the threat of antibiotic resistance (AMR) two years early. There was positive coverage of the progress on BBC Breakfast and BBC Radio 4 Farming Today, which featured an interview with the UK’s Chief Veterinary Officer, Nigel Gibbens. The story was also covered by Pig World. Sales of antibiotics for use in food-producing animals dropped by 27%, from 62 mg/kg in 2014 to 45mg/kg in 2016, surpassing a government target of 50 mg/kg set following recommendations in the 2016 O’Neill Review on Antimicrobial Resistance. The annual UK Veterinary Antibiotic Resistance and Sales Surveillance (VARSS) report is produced by Defra’s Veterinary Medicines Directorate. The UK is at the forefront of global efforts to tackle antibiotic resistance. The fact we have overtaken our target two years ahead of schedule demonstrates our commitment to preventing the inappropriate use of antibiotics and shows our approach is working. Our farmers and vets must be commended for setting an excellent example for others around the world to follow, upholding the UK’s position at the forefront of international efforts to keep antibiotics available for future generations. Now we must continue making progress and set our sights on reducing use even further. Ambitious specific reduction targets in different sectors will be yet another positive step towards safeguarding antibiotics. These results are immensely positive to see and show the combined efforts of vets and farmers to reduce antibiotic use are paying off. Vets are taking accountability for their prescribing decisions and farmers are investing in disease prevention. We need solidarity across the profession; no veterinary professional must offer an easy route to access antibiotics where they are not justified. Tackling antibiotic resistance requires a commitment across all areas of animal health, together with work on human use by colleagues in the medical professions, and our work together to tackle the issue at global level. 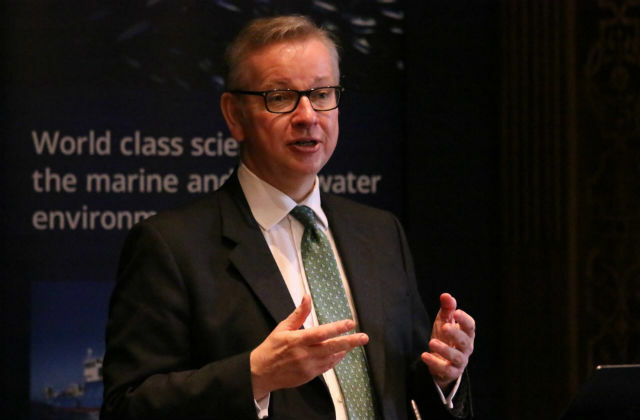 Environment Secretary Michael Gove spoke yesterday at the Centre for Environment, Fisheries and Aquaculture Science (Cefas) annual science conference at the Royal Society, marking the 20th anniversary of Cefas’ status as a Defra agency. The Secretary of State celebrated Cefas’ contribution to scientific research since its founding in 1902 and outlined the challenges facing the marine environment. The conference also saw the launch of the Centre for Sustainable Aquaculture Futures – a new collaboration between Cefas and the University of Exeter. The new centre will focus on food safety, aquatic animal health and the protection of the aquatic environment. The new centre not only establishes our position as a world leader in marine science and sustainability, but will prove critical to the health of our fisheries and the economic vitality of our coastal areas - helping us in our continued drive to leave the environment in a better state for the next generation. 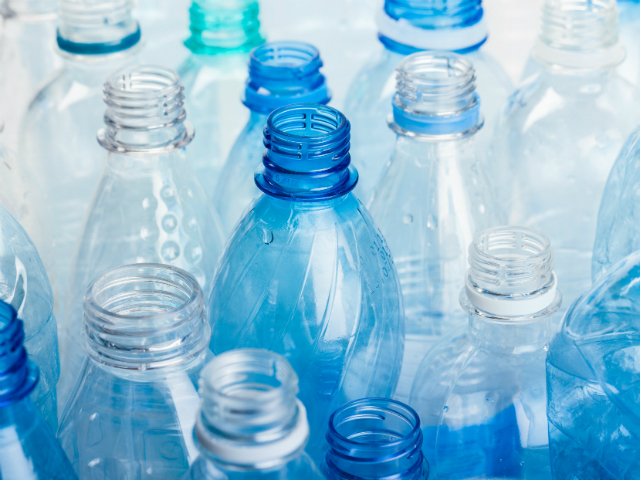 The call for evidence on how reward and return schemes for drinks containers could work in England has today been extended by three weeks to 20 November. This is due to a high level of interest and a desire to gather as much evidence as possible. This will not affect the timetable and the Voluntary and Economic Incentives Working Group, set up as part of the Litter Strategy, is still due to report back in January. We are determined to tackle plastic waste and have made progress in cleaning up our oceans by taking nine billion plastic bags out of circulation with our 5p carrier bag charge and introducing one of the world’s toughest bans on plastic microbeads. This will now remain open for a further three weeks to allow as many people and industry stakeholders as possible to feed their views into this important inquiry, and will not delay the current timetable.